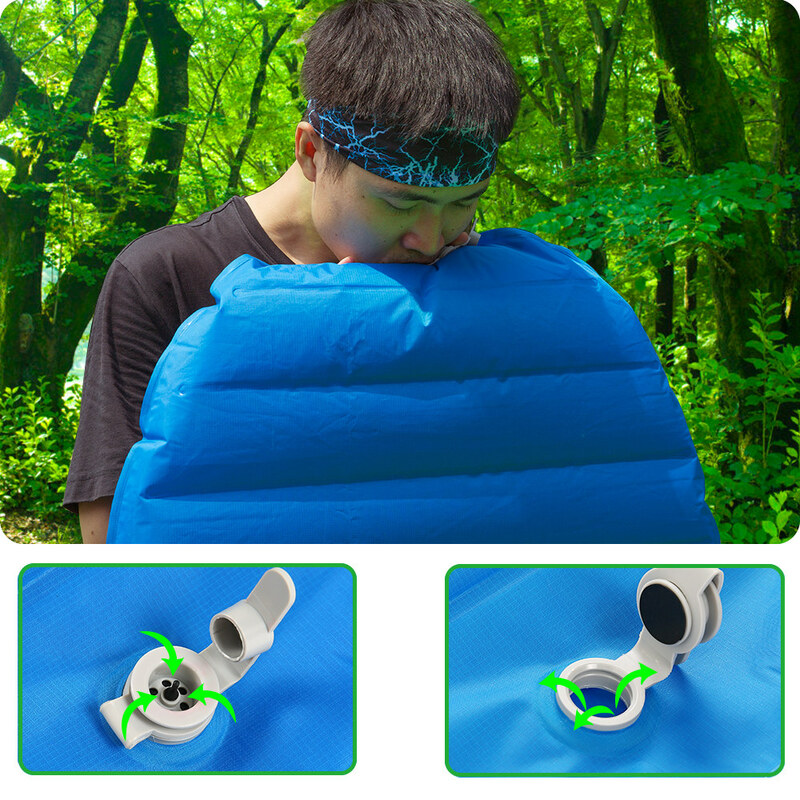 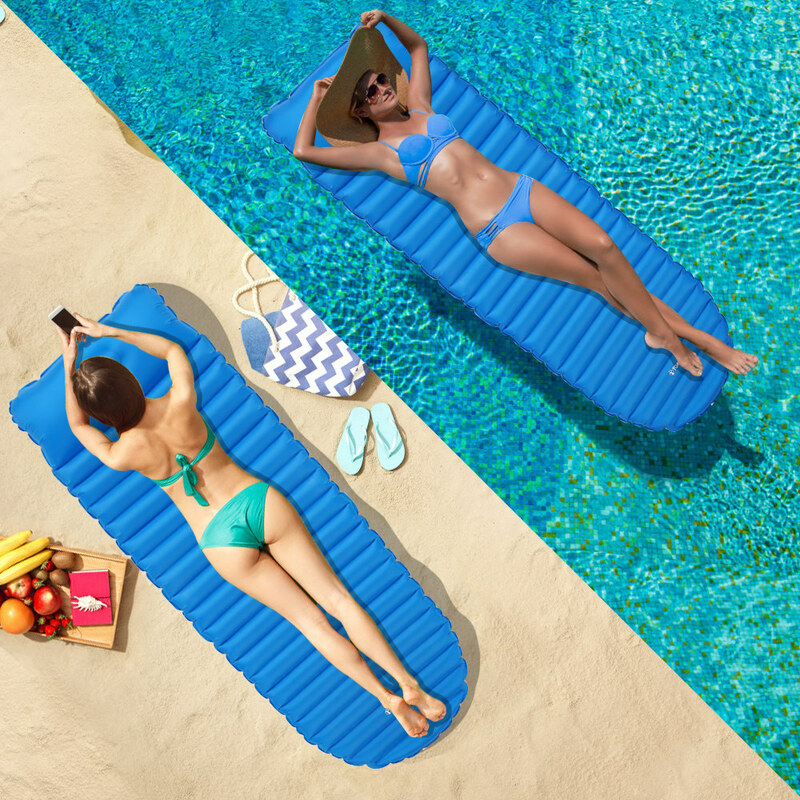 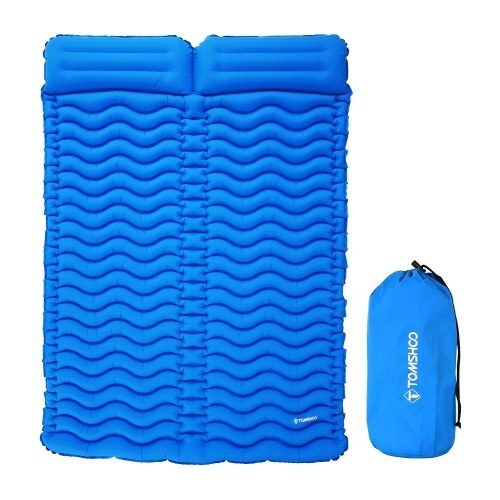 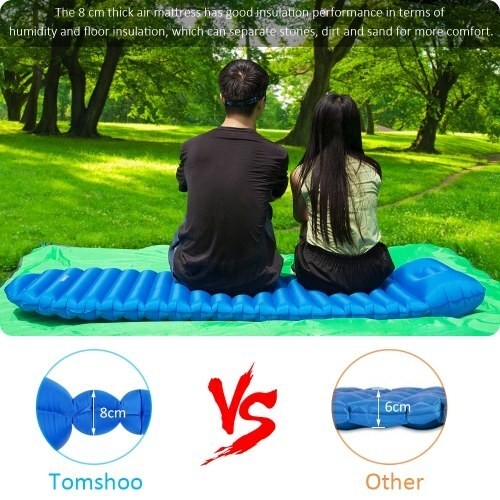 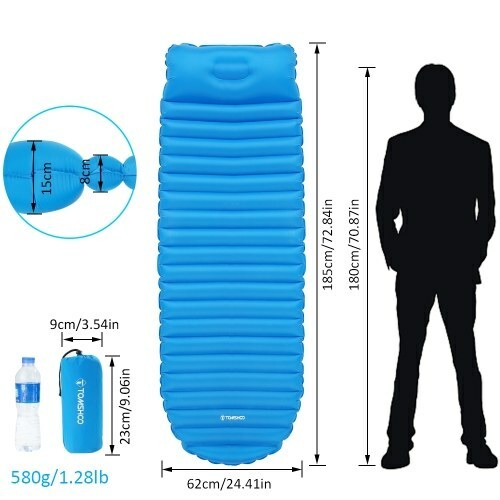 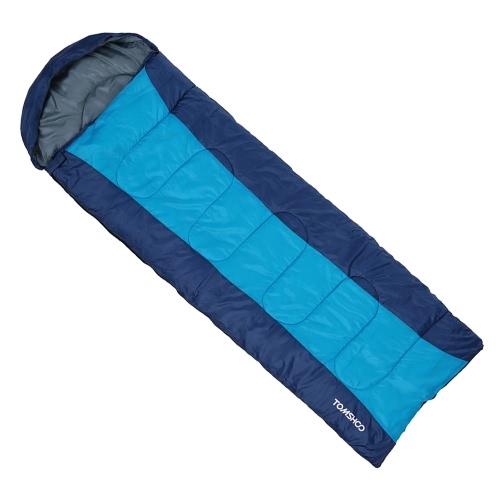 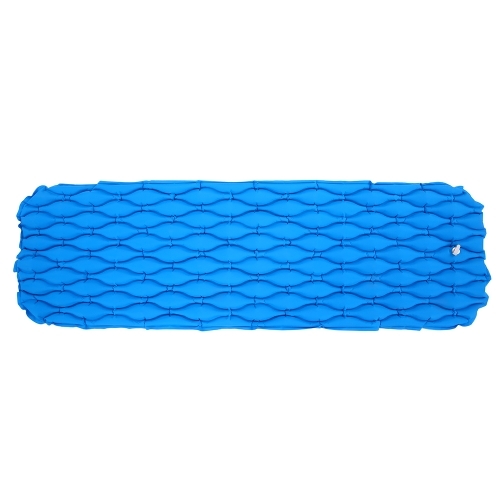 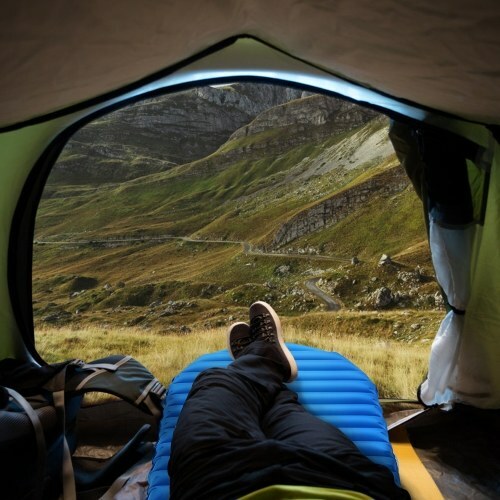 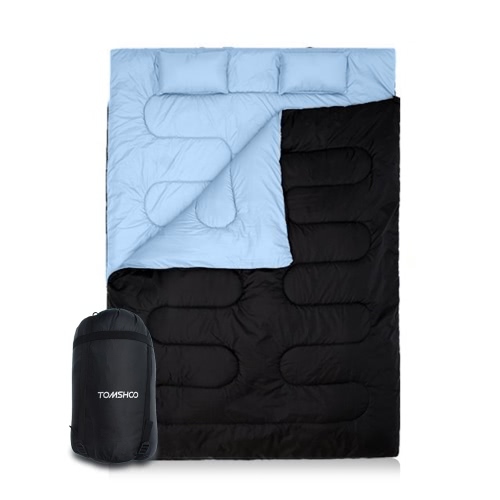 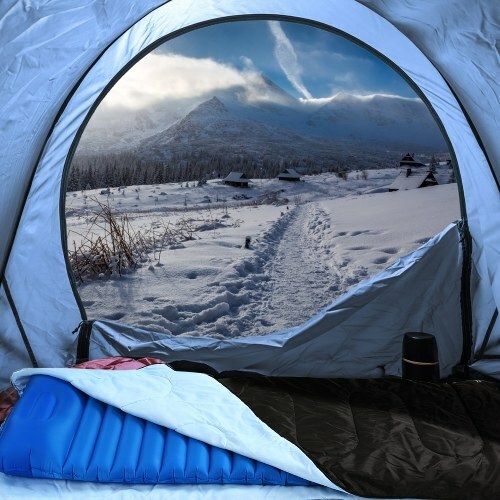 Relax in Comfort Anywhere with TOMSHOO Inflatable Sleeping Pad. Made of high-quality TPU and 40D nylon: comfortable and durable, yet compact and lightweight, it can be placed in a backpack or car. 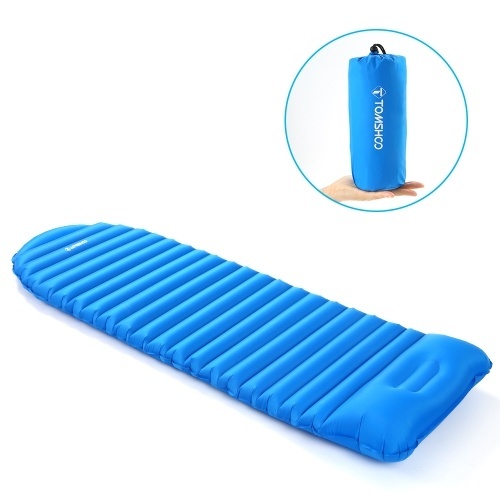 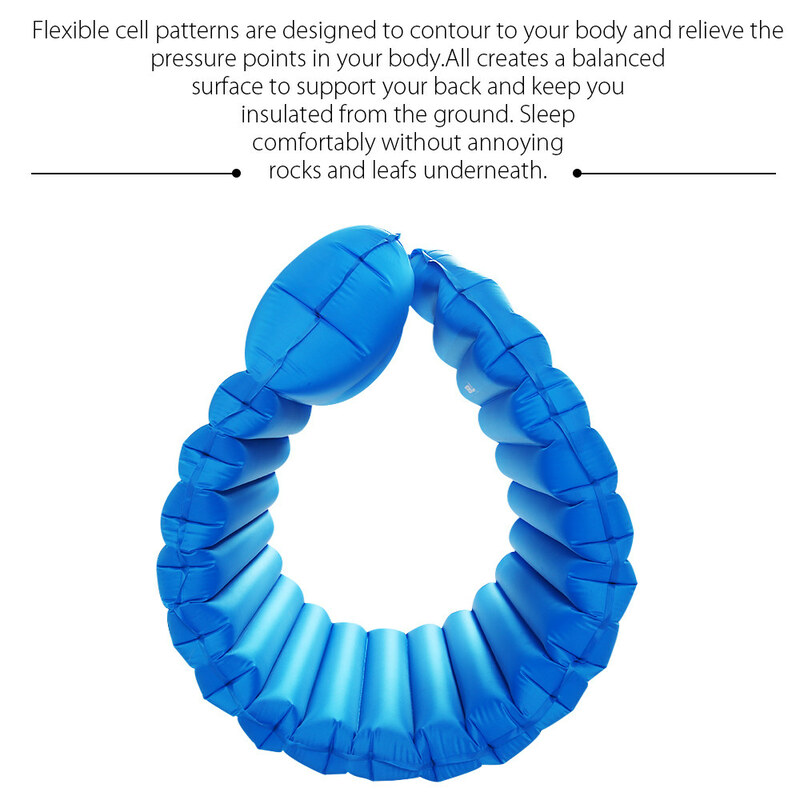 Comes with an inflatable pillow: U-shaped ergonomically designed pillow that relieves neck pressure and ensures your comfort. 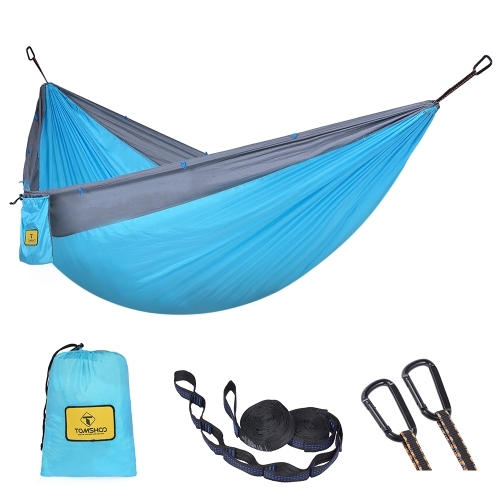 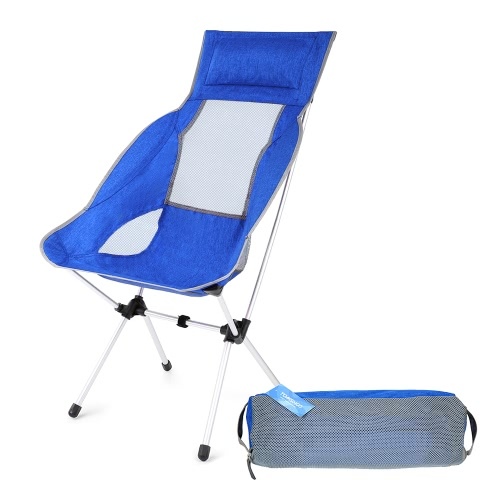 Compatibility: Suitable for swimming pools, beaches, camping, hiking, fishing, other occasions and outdoor activities, even when you have extra guests in your place to attend an overnight party! 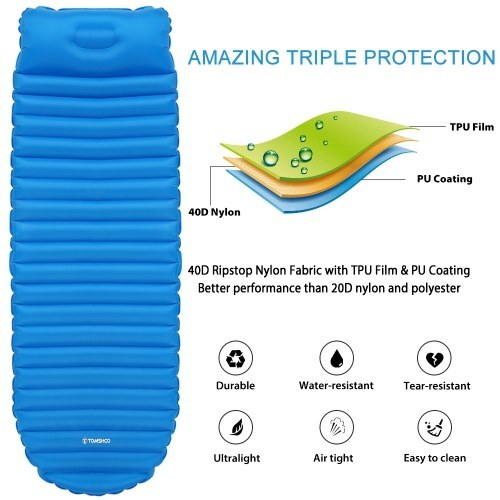 Waterproof: The skin is soft and comfortable; designed to have a TPU layer material on the inside, between the air chamber and the outer skin eco-sealing material TPU coating, which makes the water repel permanently.